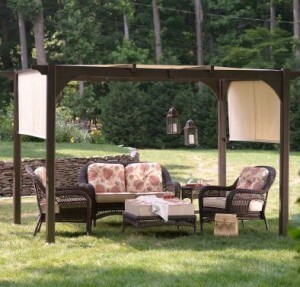 We now are making custom cushions at clearance pricing for the Martha Stewart Everyday Lawrence Pergola Outdoor Wicker Patio Sets that were previously sold at Kmart, Sears, Home Depot, Lowes, Sam’s Club. Our Replacement Cushions are made from the highest quality Fabrics to provide you the longest lasting replacement cushions available! We currently have no online checkout for the Everyday® Huntington Beach Cushions due to layout changes on our website. Please call Toll Free 866.278.6708 and we will be happy to assist you in ordering!